A federal judge threatened ‘incarceration’ to a high school valedictorian unless she removed references to Jesus from her graduation speech. City officials prohibited senior citizens from praying over their meals, listening to religious messages or singing gospel songs at a senior activities center. A public school official prevented a student from handing out flyers inviting her classmates to an event at her church. A public university’s law school banned a Christian organization because it required its officers to adhere to a statement of faith that the university disagreed with. The U.S. Department of Justice argued before the Supreme Court that the federal government can tell churches and synagogues which pastors and rabbis it can hire and fire. The U.S. Department of Veterans Affairs banned the mention of God from veterans’ funerals, overriding the wishes of the deceased’s families. A federal judge held that prayers before a state House of Representatives could be to Allah but not to Jesus. Part 1 of this series ended with many examples of ways Christians are allowing themselves to be silenced. Did you hear about the Duck Dynasty Controversy? Unless you know someone who lives under a rock, we would be hard pressed hard pressed to find someone who hasn’t heard of it in some way. However, in case you missed it, you can read the article HERE. In summary, Phil Robertson was interviewed by GQ magazine and was asked a question about his personal views on homosexuality (albeit, a little more graphic than what I would have said). As soon as this interview became public, GLAAD and other gay rights activists called for the firing of Phil Robertson and for the cancellation of the show. A&E responded by indefinitely suspending Phil from the show. I bring this up not because of the gay right’s activist’s words or A&E’s decisions. I bring this up because the liberal media did not share all of what was said in the interview. Phil is against gay marriage because the Bible does not condone it. However, he also said that no one should be treated differently and that we should love everyone. That falls in line with love the sinner, not the sin. 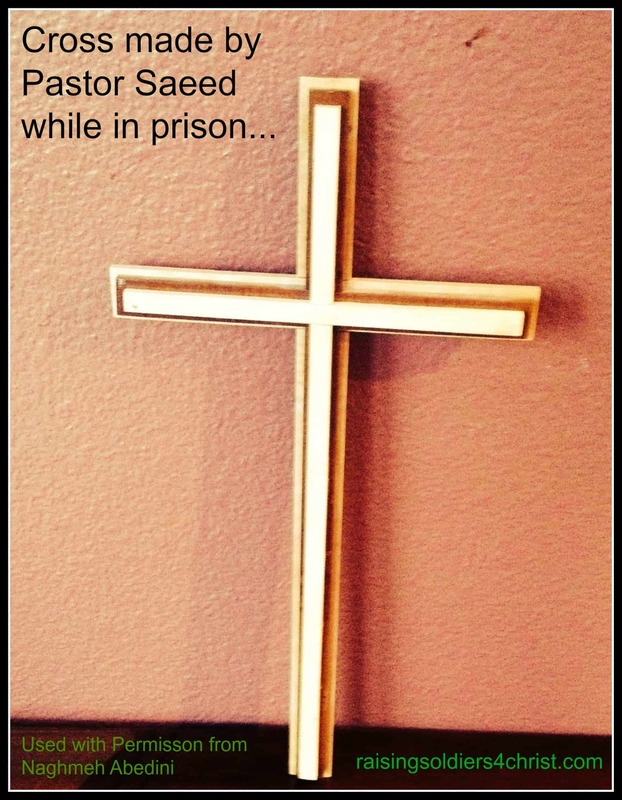 A few weeks ago I posted about Pastor Saeed Abedini. This was a very popular post and while that makes me happy, I am heart broken to know that he is still imprisoned in Iran. 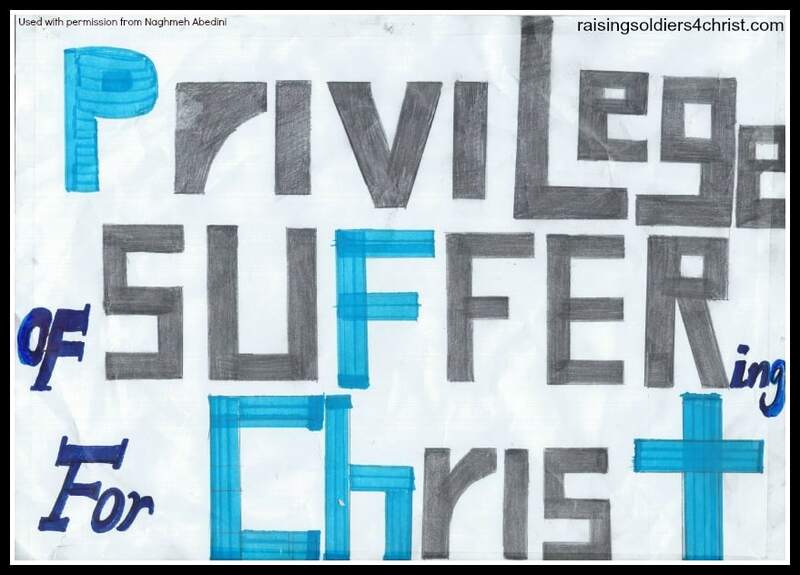 It is now the year 2014, my friends, and persecution of Christians is REAL and it is happening! 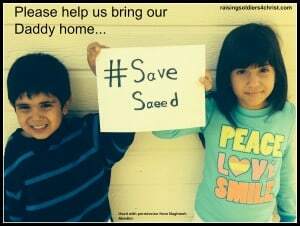 As I see pictures of Saeed’s family on Facebook and read his wife’s updates, I cry because most of us are not as upset about Pastor Saeed as we are about Duck Dynasty. When the Duck Dynasty story broke out, thousands commented on A&E’s Facebook page, called A&E and spoke to the media about how upset they were. My question is: How many have done the same thing about Pastor Saeed? I am sorry I have not been able to provide many updates on Saeed. Saeed’s family has been traveling and have not been able to visit Saeed since beginning of December. I am waiting for them to get back and visit Saeed in the next few weeks so that I can know how Saeed is doing and to provide more updates. Please keep Saeed in your prayers as I know it must be difficult for him to be alone during this season and having no visitations. I know that Jesus is so close to Saeed and he can feel all of your love and prayers. I read Naghmeh’s heart wrenching post and cried. She cannot speak to her husband. She doesn’t get letters. She cannot just Skype and her only way of knowing his condition is when his family in Iran is allowed to visit him. As a military wife, I have sent a husband off to war. I have waited for calls and letters. We have been without Skype or instant messenger, however I eventually did hear from him. Saeed has now missed two New Year’s celebrations with his family. His wife also posted on her Facebook that the last time they got to celebrate it was in 2012. Friends, we cannot be silent! We need to be acting and doing something by raising awareness for this man! He is now a US citizen and the Administration has turned their backs on him! They have left him in Iran to die, because he is a Christian. Here is another story that is beginning to gain national attention. Have you heard about this case? A Texas Homeschool family had their kids removed, with no signs of abuse or mistreatment or what happened at Veterans Homes during Christmas? I could go on and on with examples of how the world is changing, but I hope you’re getting the picture. As Christians, we are called to love thy neighbor as thyself. We are also called to go into all the world and preach the Gospel. So while we are to love, we are also supposed to be sharing what the Bible says is Truth. My friends, in this day and time, when the world wants to silence Christians, we have to be bold! We have to be strong and we have to stand firm. Is your house built upon the sand? Does it have a good foundation? How can you stand strong and stand for God if you have a shaky foundation? In the last part of the series we will be talking about ways you can build a firm foundation. I hope you stay with me through this. Tomorrow, we will learn how we can be an “intentional Christian” regardless of what the world says is politically correct.